Google's Pixel C Android convertible seems a bit strange on the surface, but there may be more to this device than meets the eye. Every now and then, Google comes out with a product that leaves people scratching their heads. If the first couple days of reaction are any indication, the soon-to-launch Pixel C may be one of those products. 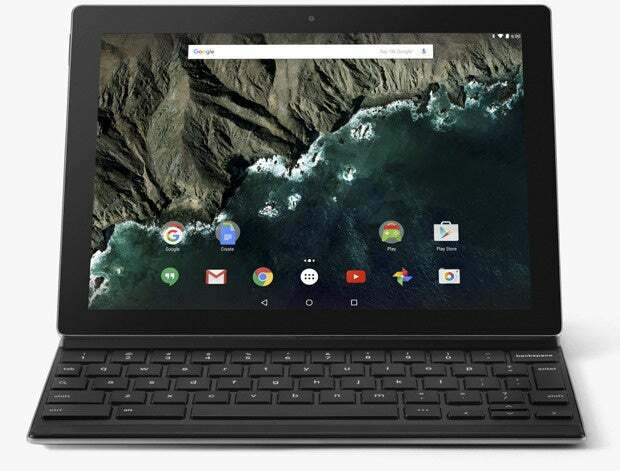 Announced along with a ton of other new stuff on Tuesday, the Pixel C is a tablet that converts into a laptop. 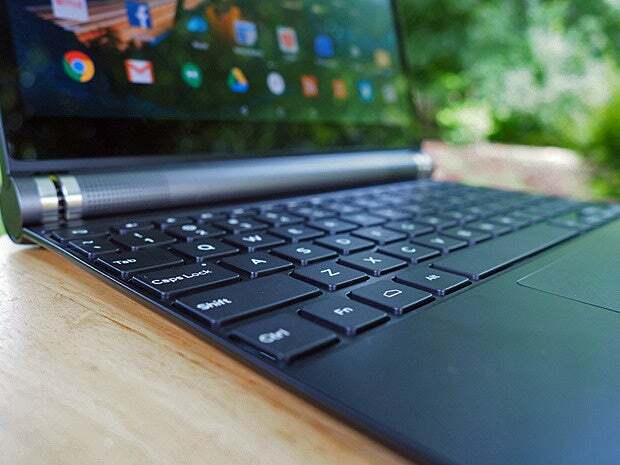 It's made by the same team responsible for the luxurious Chromebook Pixel, and it looks very much like that device -- but it doesn't run the keyboard-friendly Chrome OS; instead, the Pixel C runs Android. And it costs about $650, if you want the complete package -- no small chunk of change, to be sure, especially in an area where a few hundred bucks is the top of a typical shopper's budget. The Pixel C isn't like most Android tablets, though. The concept behind it is kind of like the concept behind Microsoft's Surface or Apple's new iPad Pro: You have a single hybrid device that meets all of your mobile computing needs. When you want to consume content, you pull off the keyboard and have a high-end tablet in your hands. When it's time to focus on productivity, you snap the keyboard on and have an almost laptop-like typing experience. The problem people keep noting about the Pixel C, though, is that Android itself isn't really built for the productivity part of that equation -- at least, not in any traditional sense. Unlike Windows and now also iOS, Android in its base form doesn't support the ability to run multiple apps on-screen at the same time. And switching between apps isn't as snappy or as simple of an experience as what you'd get with a more desktop-focused platform. These are issues I noticed first-hand while reviewing Dell's Venue 10 7000 -- an Android convertible very similar to the Pixel C in concept and form. It's an excellent product that I thoroughly enjoyed using, but it struck me as something that'd be more of a supplementary device for most people -- a super-tablet, if you will, for around-the-house use or light-work days when you want to leave your laptop at home -- as opposed to a full-fledged laptop replacement. So why would Google be building a similarly niche-targeted product -- an expensive tablet that's almost a laptop but not quite as easy to use? 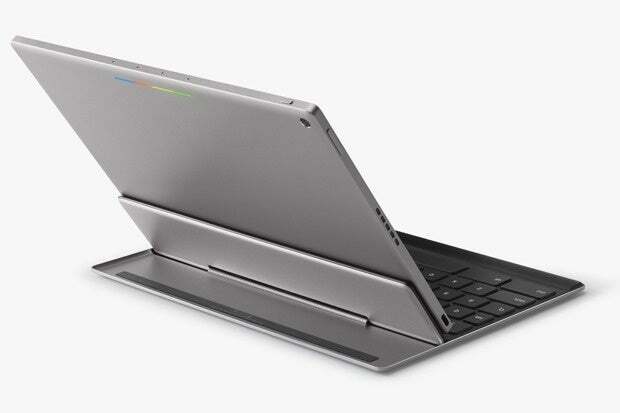 The company already has Chrome OS to serve the more heavy-duty, keyboard-centric types of productivity needs. Forcing Android into that domain seems, well, slightly strange. But here's the thing we have to remember: The Pixel C isn't just another consumer product. It's a Pixel product. And that branding has traditionally come with certain connotations. From the start, Google's Pixel line has been about building products with the future in mind -- devices with hardware that the accompanying software may not yet seem to justify. The Pixel program's goal has always been to "push the experience forward" and encourage the entire ecosystem to move toward "a whole new generation" of devices, as Google execs once explained it. So back to the new Pixel C. Why would Google create what's effectively an Android laptop when the OS itself isn't fully ready for that? For one possible explanation, consider this: We know that Google was testing a multi-window mode in early builds of Android 6.0. The feature allowed you to open multiple apps on-screen side-by-side, similar to what we've seen from Samsung and other third-party manufacturers (though with a different and more flexible implementation). The feature was described as "highly experimental," and Google evidently deemed it wasn't ready to ship in the final 6.0 release. What's particularly interesting is that the Pixel C's unusual aspect ratio (1:√2, for the super-geeks among us) seems like it was selected with that very feature in mind. The device's screen is comparable to a standard sheet of A4 paper -- which, without getting too technical, means you could split it in half and maintain the same aspect ratio on both sides. You could then split those two sides in half to form four rectangles, all still maintaining that same aspect ratio. Hmmm. Not seeing the connection? Check out the photo gallery Ars Technica assembled of Android's experimental multi-window mode. Look at the fourth image, which shows two apps open side-by-side. Now look at the fifth image, which shows the same feature with four apps open simultaneously. Coincidence? Maybe. But it's an awfully specific and curiously timed one, if so. Google's not one to talk about still-under-development features, and trying to connect the dots between these various pieces certainly requires a lot of speculation. Heck, there may be more pieces to this puzzle that we've yet to encounter; something like multi-window support could be just one tiny part of the picture. But putting together what we know -- and considering the fact that the Pixel C isn't even slated to launch until late this year, "in time for the holidays" -- well, it seems safe to say there may be more to this story than what this week's sneak peek suggested. Only time will tell what specifics will unfold and when, but what we can say with confidence is that the Pixel line has always been about supporting what's ahead -- supporting Google's vision for the future of a platform. In the case of the new Pixel C, much like we saw with the original Pixel device, it may just take a little while for the present to catch up and the full scope of the vision to come into focus.